First, I need to get this out of the way: I don’t consider using tax software to be “doing your own taxes.” I hear that kind of language all the time, but I disagree with it. When you use tax software, you are not using your brain and you don’t gain any understanding of how income taxes are calculated or why. I have observed that very few people I know prepare their own tax returns, despite my positioning in a demographic in which tax returns are likely as simple as they’re ever going to be in our lifetimes. Most people I know try to use tax software or send their information off to their parents’ accountant. A few will avail themselves of local free help. But almost none actually look at a 1040, read the instructions when necessary, and attempt to fill it out. I have a big bias here that will come out through this post because of how I’ve been paid. As a grad student, if you’re on the compensatory payroll system, everything is good – you get a W-2 like a normal person that everyone knows how to deal with. But if you are on the non-compensatory payroll system and receive 1099-MISC box 3 income (or worse, just a courtesy letter), suddenly the professionals (tax software and tax preparers) get confused and usually try to convince you that you are self-employed. Once you look into it, you realize that it’s not any more difficult to prepare a return with 1099-MISC box 3 income than it is with W-2 income, it’s just that it’s an unusual situation so it throws people who are used to seeing only W-2 or 1099-MISC box 7 income for a loop. 1) Understanding the foundational principles of the tax code is part of being a responsible citizen. 2) People with uncomplicated financial lives (most young people) are capable of preparing their own tax returns. 3) Grad students receiving fellowship income should prepare their own returns (at minimum, understand the quirks of their situation) because it’s unlikely that a tax preparer or software will do it properly without aggressive intervention. When I was in college, my parents took care of my tax return as well. 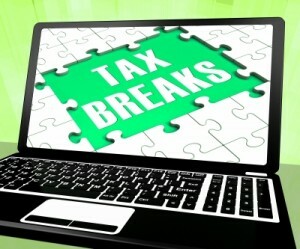 But as soon as I started working full-time, I began to build my knowledge of how to prepare my own tax return. Going off the principle that no one cares more about my money than I do, I realized that if I wanted to be confident that my tax returns were prepared properly, I would have to practice doing them myself (at times, in conjunction with free software). If you’re going to understand the tax code at a layperson level, there is no better time to start than when you’re young and uncomplicated. This is the path that Kyle and I have followed and it’s been a steady learning curve. At first, our income was all W-2, 1099-MISC, and interest from bank accounts. We took (and still take) the standard deduction and don’t own a home. A few years later, we learned how to deal with dividend income from our taxable investments. In 2013, we had our first bit of self-employment income and we learned about the schedule C and self-employment taxes. Our situation is still simple because we aren’t taking aggressive deductions related to our business. When we sell our taxable investments to pay off my student loans (likely in 2014), we’ll learn more about capital gains taxes. Eventually, I’m sure our tax situation will become complicated enough that we will pay someone or some software to prepare our tax returns for us, both for their expertise and for their time. I expect that time will come when we own a home, no longer take the standard deduction, or get more involved with self-employment deductions. But because we took the time to slowly learn about the tax code and prepare our own returns when they were easy and not too time-consuming, we have a basic understanding of how the code operates. Later on, we can be educated consumers instead of just blindly throwing numbers at a person or a program and hoping it comes out correctly in the end. If your tax return is complicated from the time you graduate from college, I understand the reluctance to prepare your own returns and it probably is the best route to pay for someone to prepare them. But that doesn’t exempt you from needing to understand how the return is prepared, and you can take a few seasons to catch up to where, even if you couldn’t prepare the return yourself, you at least can look through the completed return to catch any errors. I have personally heard so many horror stories about tax returns being prepared incorrectly or bad tax advice coming from professionals from my grad student peers. 1) I have literally never heard of a professional tax preparer properly filling out a grad student’s return if it involved involved 1099-MISC box 3 income. (To be fair, most people I know don’t use people to prepare their returns, so it’s only a handful of examples.) And those are just the cases where the student caught the mistake. I’ve had another conversation with a peer wherein I had to inform him that his previous returns had been prepared incorrectly – for years. 2) Several of my labmates have gone to the volunteer tax preparers are our university for help with their NSF fellowship income and almost none has come back with the correct answer for how to deal with a courtesy letter or 1099-MISC box 3 income. And these are volunteers at the university – why couldn’t they have been briefed on the typical tax issues of the students? 3) While not impossible, it’s notoriously difficult and non-intuitive to get the free versions of tax software to accept 1099-MISC box 3 income. If a student doesn’t know better, she can easily be misled into telling the software that she is self-employed. At the end of the day, each of us is responsible for our own tax returns, no matter how they are prepared. Again, I don’t think you should have to become a tax expert if that’s what your return requires. But I believe you should have a general idea of what’s going on (e.g. the difference between a credit and deduction) and be able to look at a completed return and confirm that it accurately reflects the financial story of your year. I believe the best way to accomplish that is to prepare your own returns for a few years – and sure, check it against the software if you like to catch your mistakes! By what method do most people you know prepare their taxes? Have you ever done your taxes yourself (by hand)? 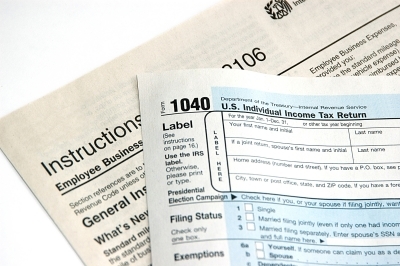 How competent is your understanding of how income taxes are calculated? 56 Responses to "Why Don’t More People Do Their Own Taxes?" 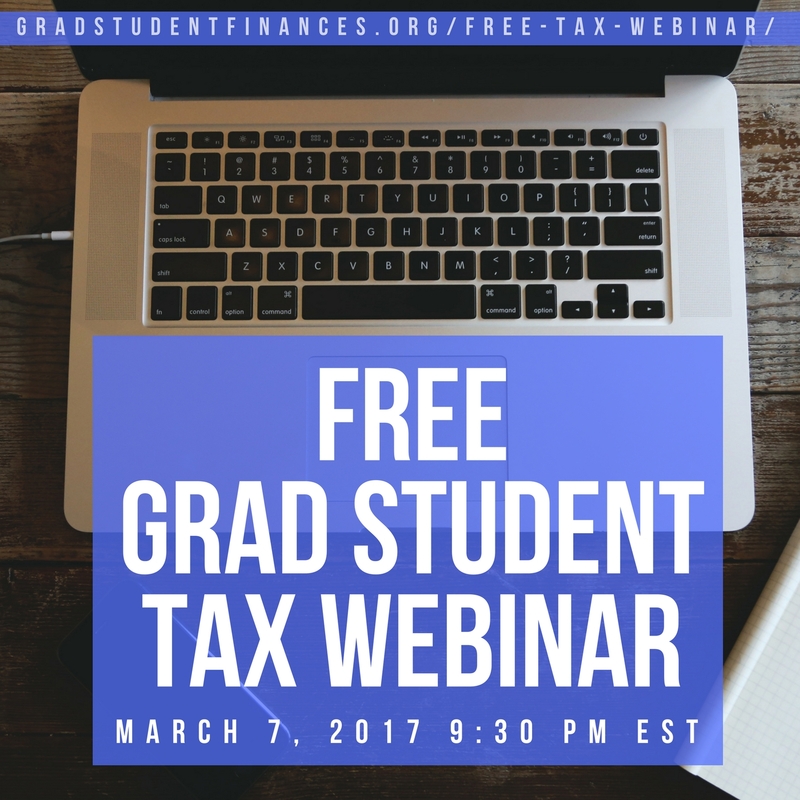 I’ve mainly heard “you don’t have to enter it at all because you didn’t get any tax forms!” for grad student fellowship income. Or, as my university says in their courtesy letters, “it’s up to students to figure out their own tax liabilities”. It sounds like lot of people just think that it’s their choice to report it, or they don’t have to at all (as I mistakenly did my first year). I’ve never heard anyone say you have to enter it as self-employment, though. Honestly, I think the reason we don’t prepare our own taxes is sheer laziness, and worry that we’ll make mistakes because we have 4 differently taxed types of income in 2 states. I am pretty sure I’ve done it at least once before, when things were simpler, but TurboTax is easy enough that you don’t even have to walk to a mailbox. Next year we’ll make the effort to fill out the state returns on paper and mail them though, that’s where they really hit you with the fees. It’s not the people affiliate with the university who make the SE mistake, it’s the people who work with the general public (like the tax software). And yeah, there’s plenty of ignorance about having to pay income tax as a fellowship recipient! I’m so pleased that my university has now incorporated the tax seminar we created into the orientation schedule, so no incoming student can no claim that she was unaware of the necessity of reporting income. The fees are one reason why we probably went down the DIY route to begin with. We get the software to do the federal return for free (used to file through it but now don’t), but we have to do state ourselves so we may as well check through both. Having multiple states is a pain! I did that once but we’ll probably have to do it in 2014 as well. I’ll definitely want an outside party to at least check next year’s taxes if not prepare them entirely. Now that I know what’s going on with our taxes, I did find working with TurboTax to be super time consuming in comparison with the draft I did in Excel. But that’s after a good bit of familiarity from previous years. I use tax software to do my taxes. Years ago, when I was in college with a small amount of income, I did it by hand. My dad still does it that way. Tax software makes it so much easier. But I agree that you don’t really learn much about how taxes work. I took a course at H&R block plus I’ve taken tax classes in law school so I have a decent understanding of how it works. But it definitely is a complex area. Andrew@LivingRichCheaply recently posted..Image is Everything. Isn’t it? Sounds like you have plenty more than a layperson’s understanding of the tax code! I think most people are simply lazy. My boyfriend actually used the TurboTax app on his iPad to do all of this taxes! I used TaxAct which is like TurboTax, but free and it doesn’t import all of your forms. But as a first run, I always do it on paper. FreeFileFillableForms was having issues with my tax situation, so I gave up on it. Most people I know use TurboTax or the like. Very few people actually pay tax preparers to do it. That’s good to know that TaxACT doesn’t need you to import everything. I’m going to get the free version and make a 1099-MISC box 3 guide as well for next week. Maybe I won’t have to spend as much time making it! That’s too bad that the free fillable forms failed you. If they did me I would probably use pen and paper! But e-filing! E-filing is the best! I think it’s a really good thing to get intimate with your taxes, and all of your finances for that matter. If you don’t pay attention and do it yourself, you never know what you’re missing and if the advice you’re getting is reasonable and good for you in the long-term (your advisor or CPA might be looking what would get you the biggest refund this year, but that could have effects down the line). Daniel recently posted..Are You Scared To File Your Own Taxes? “Get intimate with your taxes” – I love it! Great point about keeping a long-term perspective in the face of short-term suggestions. Good on you for using the paper forms and DIY-ing it. Joe from Stacking Benjamins had the same advice. I used the paper forms when I was in undergrad, mostly because I didn’t have the cash on hand to buy any software! No paper involved any longer but thanks! I didn’t realize Joe had the same opinion. Glad to know I’m in such good company. I used paper in high school and some of college, but once I got to income in multiple states, software took over. With income from rentals, I feel better about having it go to a CPA. Yeah, rentals would definitely put you into the needing-a-professional category. How many years did you have income from multiple states? We’ve only dealt with it in the transitions out of undergrad/into grad school. Maybe in 2014 as well. I have always used an accountant, though when I was younger I admittedly could have figured it out on my own. A few years ago, I tried both software and an accountant for my increasingly complicated tax return, and the accountant saved me enough to cover his fee plus another $50 or so, so I find it worthwhile. I would be nervous to file on my own without software or a tax professional for guidance because the rules and laws change so much each year, I would hate to get something wrong that costs me money or gets me audited. That’s awesome that your accountant is worth more than his fees – and you save the time! What did he come up with that your software didn’t? I did make a mistake one year when there was a one-time tax credit available, but the IRS caught the mistake and gave me the larger return! Since then I’ve been more careful about checking up on the changes that might affect me. That same thing happened to me last year. With all the side hustles I’ve got going on my return has gotten complicated, so I ran a test run of turbo tax v the accountant. She earned her fees, then another 250 or so. That was enough for me, but I may revisit it a few years from now. Great that you checked! And yeah, re-evaluate when your situation changes. I do my taxes by hand first and then input it into the free H&R Block software to e-file and get my return more quickly. Very useful the one year when I transposed the figures in my student loan interest deduction and the numbers didn’t match up at the end. Not a grad student but I was considered an independent contractor for one job over two tax years, filled out all the forms and had my mom (works for local accountant during tax season) look it over. Agree with your main point, people should figure out taxes by hand before using software or a tax preparer when their taxes are straightforward/simple. I like to use the software to check as well – probably you wouldn’t make that kind of typo twice! I think I’ll make a guide for the H&R block software in a couple weeks as well. I’m glad we see things similarly! I implore my friends with simple situations who send their tax returns off to at least try software, even if they’re not willing to do the return themselves. I think you make a good point about the tax pros not necessarily being competent. Fortunately, my father is a tax attorney and I know he’s a smart one, so I let him handle everything. I may have to ask him to explain the ins and outs to me someday though. You should definitely get your dad to explain things at some point! He’ll probably be a great teacher. I file a lot of taxes with TurboTax. I have 9 businesses, plus my personal taxes. I had an accountant once, the first thing he did was file an extension for everyone. Then, barely make the deadline. I sort of sympathize with tax preparers since everyone probably gets their info to them really late. That’s impressive that you are using only TurboTax for all your businesses! But if you know how things should go, the number doesn’t matter as much as the type, and you can check to make sure everything is correct. I have never had an accountant or book keeper do my taxes. When I was just starting out in my working life, my mom did my taxes for me, and now I do them for myself, but with a tax software. I plug in the numbers and it calculates how much I owe. Even using the software takes so much time for me, I can’t imagine if I had to learn all of the ins and outs and figure it all out! But I see what you’re saying. Taxes is really a life skill. It just depends on how complicated the situation is. For me this year, using software was way more time-consuming and the free version couldn’t even do everything I easily could on my own! My Dad always did my taxes up until this year (he’s an accountant by training). And by “did” I mean he uses Turbo Tax now. This year he and I both did my taxes separately (on programs) and then compared. I never had problem with my grad school “income” because my province made it very clear that it was scholarship money and it was untaxed. I just hate that I lost out on a lot of contribution room for my RRSP by not having a taxed income… I guess I can’t have it both ways though! Alicia @ Financial Diffraction recently posted..Internal vs. External Financial Control. You can feel better about your situation as long as you can join me in being OUTRAGED at mine! I think it’s good advice to at least try doing it on your own. You’re right that it makes us more involved citizens if we know how taxes are calculated. A lot of people on this comment thread seem to have the impression that I’m talking about literal paper and pen… But I’m happy to disabuse you! You can use the online free fillable forms from the IRS and, if you owe additional tax like we do, get a PIN to be able to submit a payment online for free. It’s actually really easy. I supposed I could write a post on how to start off preparing your own tax return, but a service would kind of defeat the point of the post, no? I did my taxes this year in turbo tax and H&R block to check that I’d done them correctly (make sure I got the same numbers in both sets of software). Initially H&R block told me I owed the state $1500, which I knew was a mistake. Thankfully I eventually figured it out, but you’re right about not understanding how the taxes are calculated. I knew that the $1500 figure was wrong, but I had no idea why, other than I pay too much in taxes to owe that much. Thankfully I went back to check them because the software told me that everything was 100% accurate 3 times, which it clearly was not. If I’d “listened” to the tax software I would have paid the state $1500 that they were not entitled to! All that to say that federal taxes are much easier to understand (for me) than NY or NJ taxes, which are a nightmare in my opinion since I have to submit both. That’s good that you were able to catch the mistake even if you didn’t know why. You probably could have gone line-by-line with the return to find the first discrepancy and tracked it down that way. That’s a lot of money on the line! That’s interesting that NY and NJ are more difficult than federal. I’ve filed in VA and NC and I think they were both more simple than the federal. Why do you submit in both NY and NJ – do you work in one and live in the other? I know in the DC area DC, VA, and MD have an arrangement to make state taxes easy for cross-state commuters and I thought other states did the same. Yours might be too complicated with the self-employment. 🙁 But you could try it yourself and also with software and see how far you get. My mom has always been a closeted-accountant (never got a degree but she would have been perfect) and she helped me do my taxes when I was under 18 so I could get my return on my part-time income. I started doing my own FAFSA (with my mom’s tax return in hand) for Freshman year so I’ve had an understanding of processing financial documents on my own from a young age. I think it has to do with a fear of math. Point blank. People get it in their head that they’re bad at math and they’re afraid of numbers for the rest of their lives. That impressive that you tackled the FAFSA on your own! My parents filled mine out. But taxes don’t require you to do any math! The free fillable forms do all the math for you. 🙁 But you’re probably right. My wife is a CPA and she advocates that most individuals do their own taxes. You don’t need to hire a tax professional if your life is pretty simple. I learned years ago on the paper form but then used TurboTax. Now my wife uses the mega software suite at her job. That’s a nice benefit! We use turbotax. When they were simpler we did them by hand. When they were seriously difficult (living in two states for a partial year, deducting living expenses etc.) we did them by hand. Turbo-tax has often found things we’ve missed. I think we know more about taxes using turbo-tax rather than less. nicoleandmaggie recently posted..Where do your PhD’d friends who escape academia go? That’s good to know. What did you learn from TurboTax? The only things I could think of it new deductions/credits or perhaps where to report certain kinds of income. I’m sure it’s faster to learn relevant new things from tax software than by reading the instructions (but obviously I’d argue that you should verify in the instructions anything TurboTax instructs you to do that is unfamiliar to you). I would love to see more young people at least attempt to fill out a paper tax return. Even if you don’t end up filing that way, reading through the forms helps provide a basic understanding of how taxes are calculated. Using tax software doesn’t teach you anything. Couldn’t agree more. You could even take your completed tax return from a software and just read up on what each filled-out line means to start. I did my own taxes in college. I think I might have done them in high school too (once I had a job). If you just have a W2 and some bank interest, it is super simple! I find the software (this year we sampled turbotax and HR block) to be overly idiot proof and inflexible for non-standard situations. It is unreasonably confusing to enter out-of-state income, when that has to be an incredibly common situation. We still go through the exercise, but don’t pay the bill. This is cheating, but I would pay a nominal fee – they just always end up up-selling us! We had some1099-MISC income that we weren’t sure how to categorize. The software automatically told us to pay income tax and payroll taxes on it, even though it didn’t fit the definition of being independent contractor work and payroll taxes weren’t required. That, and the cost, solidified our plan to use paper. BTW, a few google searches brought me to sites that declared that if you received a 1099-MISC, you were automatically an independent contractor and must pay payroll taxes. But the IRS website disagrees with that! We use the free fillable forms now as well. It gives you the good balance of understanding everything but not having to enter all the formulas. The problem with coming upon random websites making claims about taxes is why I try to link to the IRS publications often! 1). Claim a portion of the fellowship money was used taxed free on QHEE, effectively deducting QHEE from my income at my 15% marginal rate (I already have funding from my lab on a W2 that pushes my income to the 15% bracket). 2). Report my fellowship money as income. Get taxed at 15%. Claim the lifetime learning credit, which will give me back 20%, netting 5%. Sounds good right? Wrong. Reporting fellowship money as income increases income taxable by GA, whose top tax bracket starts at $7000 and is 6%. So, I’d be losing 1% in the end. The problem with using tax software is that while it will decide intelligently for you things like whether you should itemize or not, based on the questionnaire, it will not coordinate your state and federal taxes like this to lower your overall tax bill. When I tried to use H&R Block’s free online tax program, it would not let me fill in my state tax information until I submitted to the IRS my federal taxes. Thanks for this great comment! I believe I had another commenter a while back who faced the same situation but I’ve never looked into it in detail. Great point about the lack of coordination between federal and state options in the software – something else for people to be on the lookout for. Between the two filing options you outlined, I would think that the first would be the more correct way to do it, with or without it coming out to your advantage after considering state taxes. The IRS worksheet that I’ve used to calculate taxable fellowship income subtracts the QHEE before calculating overall income. (Worksheet 1-1 http://www.irs.gov/publications/p970/ch01.html.) Lifetime learning would be considered at a later step. But as I said I’ve not looked into it fully. What do you think? 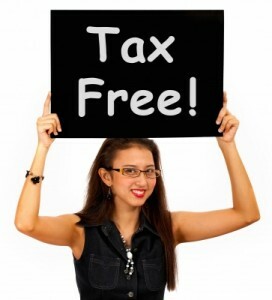 “Generally, any scholarship or fellowship is treated as tax free. However, a scholarship or fellowship is not treated as tax free to the extent the student includes it in gross income (if the student is required to file a tax return for the year the scholarship or fellowship is received) and either of the following is true. Situation 2 applies to me, as my fellowship doesn’t come with strings attached. The examples go on to explain scenarios where a student decides to include scholarships as income. So students have the choice of including fellowship money as income so long as there aren’t strings attached to that money.